Would you visit the Auschwitz-Birkenau concentration camp? When I mentioned the Dachau Concentration Camp in southern Germany as a place to visit a few weeks back, some readers were surprised at the idea of visiting such a place while on holiday. And I can understand that it may not be everyone’s cup of tea, but the chance to understand important parts of history better is one reason I really love travelling, especially in Europe where there are so many historical sights. That’s why I thought I’d mention the even more distressing possibility of visiting the Auschwitz-Birkenau concentration camp sites in southern Poland. Auschwitz is perhaps the most well-known concentration camp – even if you slept through history lessons at school, you’ll know it from Schindler’s List – and it’s the kind of tourist attraction you’ll never forget. But be warned: you will see a lot of things you wish you hadn’t. I admit to having nightmares after my visit to Auschwitz. But ever since, when I see documentaries or read books about World War II, I certainly feel like I can understand the atrocities of the time a whole lot better. 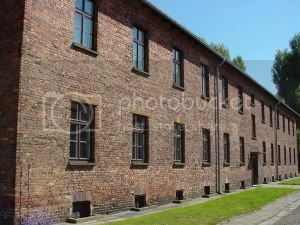 The official site for the Auschwitz-Birkenau museum has an English version with a lot of detail on what’s there and how to visit it, and is definitely worth checking out to plan a trip. Most people arrive here on a day trip from the (contrastingly beautiful) city of Krakow. I’m definitely an advocate of visiting places like this. Read our travel tips for what to do in Poland. This entry was posted in Poland on March 3, 2009 by Amanda Kendle.